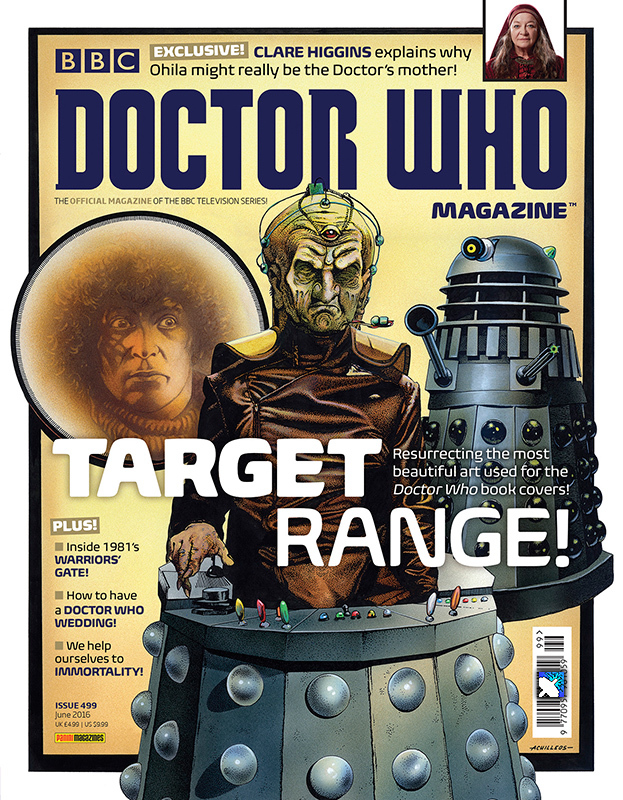 Doctor Who Magazine have sent DWO the cover and details for Issue 499 of DWM. Take a look back at the history of Doctor Who Book Cover Art - in DWM 499! DWM investigates what it is to be immortal in the Doctor Who universe. We ask Clare Higgins, High Priestess of the Sisterhood of Karn, if Ohila could be the Doctor’s mother? … in the third part of our brand-new comic strip adventure, Witch Hunt, written by Jacqueline Rayner and illustrated by Martin Geraghty. Jacqueline Rayner talks about the challenges of dressing her boys up as the Doctor, in her column, Relative Dimensions. All the latest official news, reviews, competitions and The DWM Crossword. + Doctor Who Magazine Issue #499 is out on Today, priced £4.99. + Check Out The DWO Guide to Doctor Who Magazine! Doctor Who Magazine - Issue #496 - Cover & DetailsDoctor Who Magazine have sent DWO the cover and details for Issue 496 of DWM.Doctor Who Magazine - Issue #509 - Cover & DetailsCover and details for Issue #509 of Doctor Who Magazine.Doctor Who Magazine: Issue #522 - Cover & DetailsDoctor Who Magazine have sent DWO the cover and details for Issue #522 of DWM.